Rooms at Rue is part of the Main Street Group and is located directly above Rue restaurant, a fabulous establishment renowned for its bohemian style, superb food and hospitality. It is also located next to Main Street’s very own thatched cottage pub Sean Og’s where you can relax at a blazing turf fire and step back in time in a traditional Irish pub. For those seeking a more lively night out, live music is available most weekends at the famous Outdoor Main Street Stage while Ostler’s pub and Mantis nightclub guarantee unforgettable nights out in town! 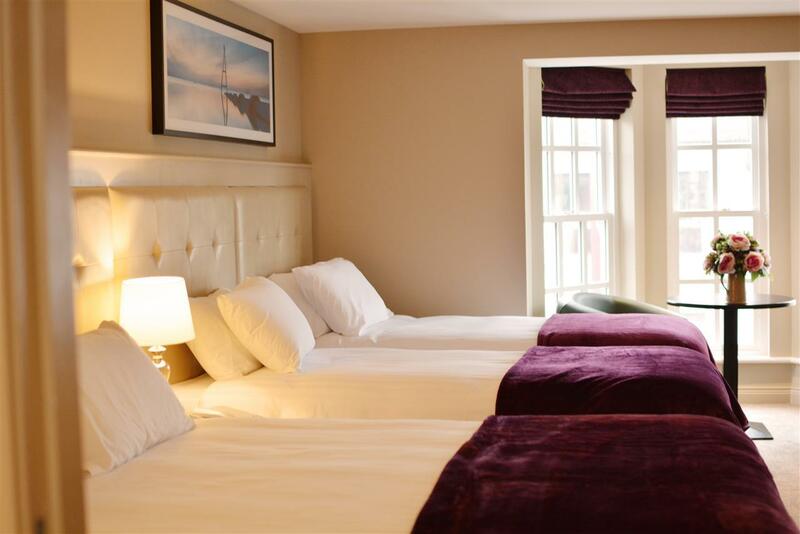 Rooms at Rue offers 13 brand new boutique en-suite rooms offering guests a luxurious, inviting and comfortable stay in beautifully furnished, fully equipped rooms complete with Wifi, tea and coffee facilities and optional freshly cooked breakfast. Our rooms are designed for business travellers, tourists and guests with packages to suit accommodation requirements. With its prime location in a historical and cultural town with a landscape that sees the Drumragh and Camowen Rivers forming the River Strule, Omagh offers the idyllic gateway to exploring attractions including the Ulster American Folk Park, Gortin Glen Forest Park and Gortin Lakes. We look forward to welcoming you to Rooms at Rue and helping you plan a wonderful stay. For details of current packages or special offers, please visit our website or social media pages or alternatively contact us directly. Bespoke packages are also available for group bookings including Hen and Stag weekends. The two Superior Executive Rooms can also be transformed into family rooms. Breakfast available from £7 per adult and £5 per child.